How would you like to start the New Year off right and win some cash? Or maybe you would prefer a gift card! I have teamed up with two great ladies, Stacy and Pamela, and we are giving you the opportunity to do just that... WIN! I hope you have an AWESOME year! $50 PayPal or Amazon ~ Winners Choice!! The more entries you earn the better chance you have to win! Enter below using the RaffleCopter form to enter for your chance to win $50! 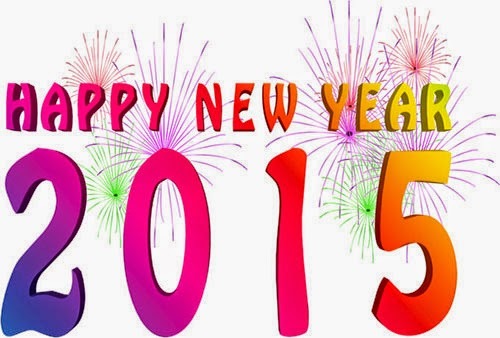 Ringing in 2015 - Happy New Year! How will you be welcoming the New Year? I'll be honest here... my husband and I will be sleeping when the ball drops at midnight. That's right, we are a couple of hard-core party animals! I hope that the New Year brings you success and happiness. 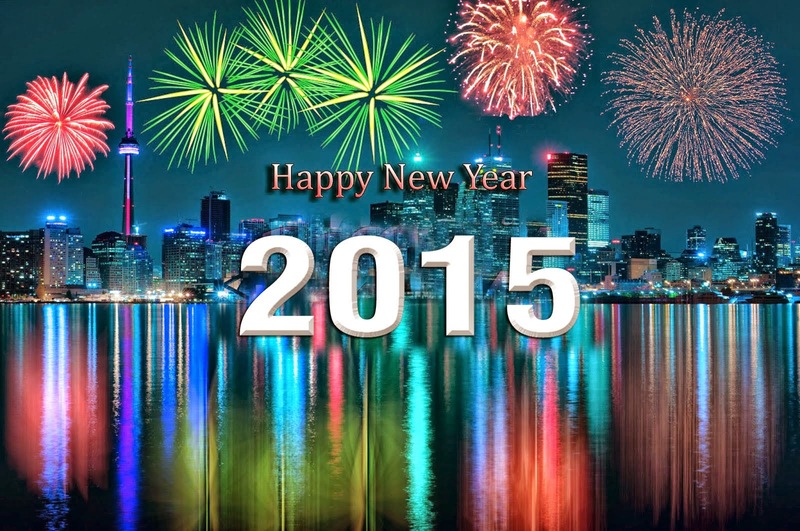 Lets make 2015 the best year ever. 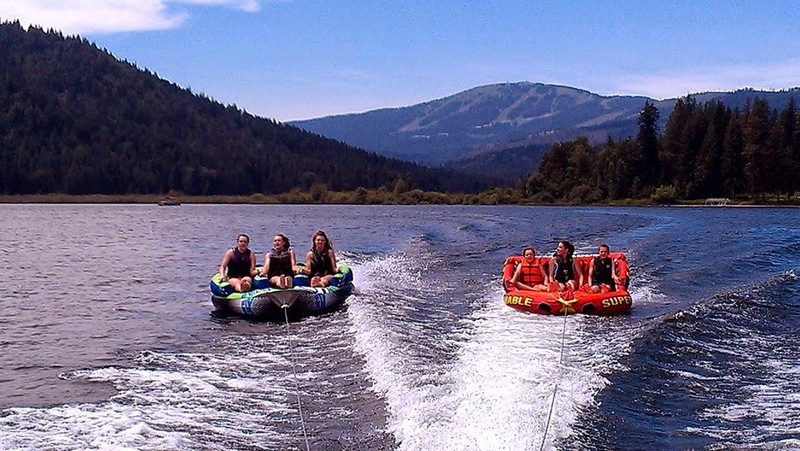 We are a family that loves the outdoors and spend most of our free time during the summer at the lake. We also spend a week on the Oregon Coast every summer, and I'm sure you can imagine what sand and salt water can do to your cell phone and camera. Whether we are swimming, relaxing on the beach, or out on the boat - it's important to make sure our valuables are protected from the elements. The first summer we bought our boat, we were putting our cell phones and husband's wallet in a ziploc bag to keep them from getting wet. Then we started using a plastic container. Knowing that both of these items were not 100% waterproof, we were taking a risk, but knew we were at least providing them with a little bit of protection. For Christmas, I decided to take things to the next level, and was given the opportunity to give my husband a waterproof phone case for his cell phone. As soon as he opened it, he was excited to try it and said it would be perfect for this summer! My husband has a Samsung Galaxy s4 with a protective case on it and it fit inside perfectly! 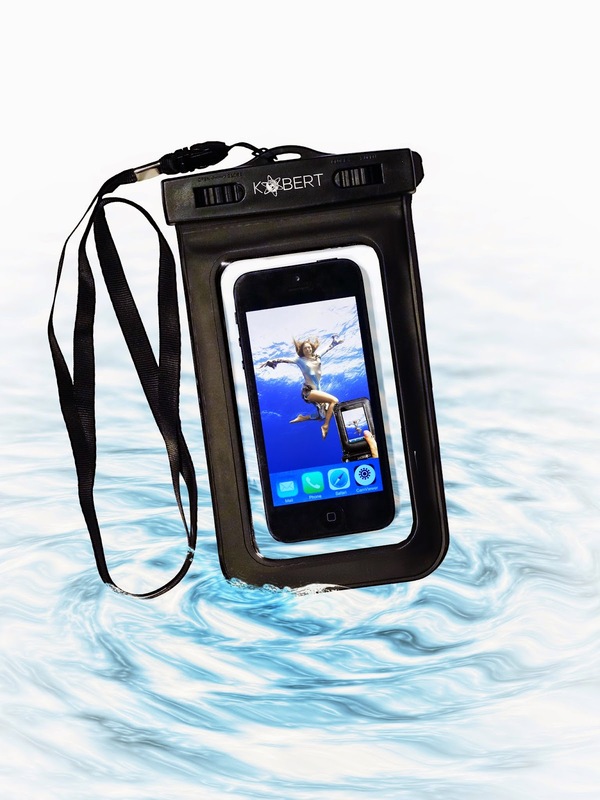 The Kobert Waterproof Case will keep your phone dry while you enjoy your favorite water sport; whether you decide to boat, swim, ski, hike, surf, canoe, snowboard, jetski, fish, snorkel, and more. This durable waterproof phone case provides you total freedom to take your mobile phone with you wherever you are, no matter what you are doing! You can use your mobile phone while in the waterproof case and use both front and back cameras on your phone because the waterproof case has a see-through window on both sides. With the New Year less than a week away, New Year's Resolutions are on the horizon. Of course, losing weight, getting healthier, and being more active are among the most popular resolutions of most people. There is one other thing I'll admit that I need to focus more on, and that is drinking enough water. Staying hydrated is so important to our health and our body. Finding a great water bottle can play an important role in drinking enough water. I just happen to have fallen in love with Glasstic! Glasstic Shatterproof Glass Water Bottles make it easy to bring a GLASS of water anywhere you go... to work, school, the gym... everywhere! You might be thinking to yourself; a glass water bottle? YES! But this isn't your normal glass water bottle. It is colorful, lightweight, easy to hold, and most importantly, SHATTERPROOF! Making it safe and easy to take anywhere. The Glasstic Shatterproof Glass Water Bottle is great for all of your favorite beverages and are greatly preferred by Essential Oil and Alkaline Water drinkers due to the glass water bottle insert that contains their infused water products. Glasstic makes a terrific gift for these types of users! 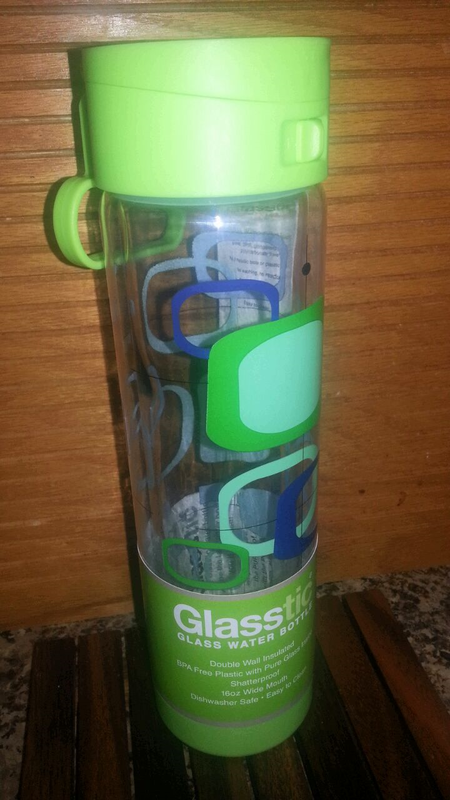 My daughter (10 years old, has tried to steal my Glasstic shatterproof glass water bottle on more than one occasion. In fact, I might have to order her one for her upcoming birthday so I can stop hiding mine! In addition to being so easy to use, I absolutely love the variety and brightness of their available designs. There is one to fit every personality, and they would make the perfect gift! NORAD Santa Tracker - Track Santa on Christmas Eve! Can you believe that Santa comes tonight? Here is something super fun for children to do on Christmas Eve before they head off to bed... they can track Santa and his every move with the FREE NORAD Santa Tracker. You can also track Santa via your mobile phone! How cool is that? I just checked and Santa was over the world's 47th largest country and 4th biggest island, Madagascar! 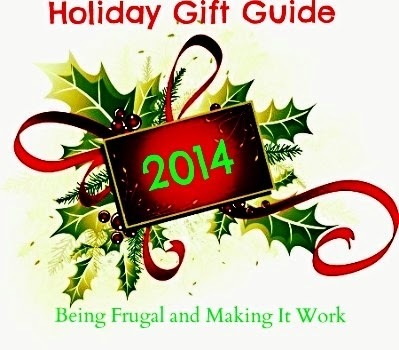 The Being Frugal and Making it Work family wants to wish you a very Merry Christmas! I hope you have a day filled with joy, happiness, love, and most importantly MEMORIES! 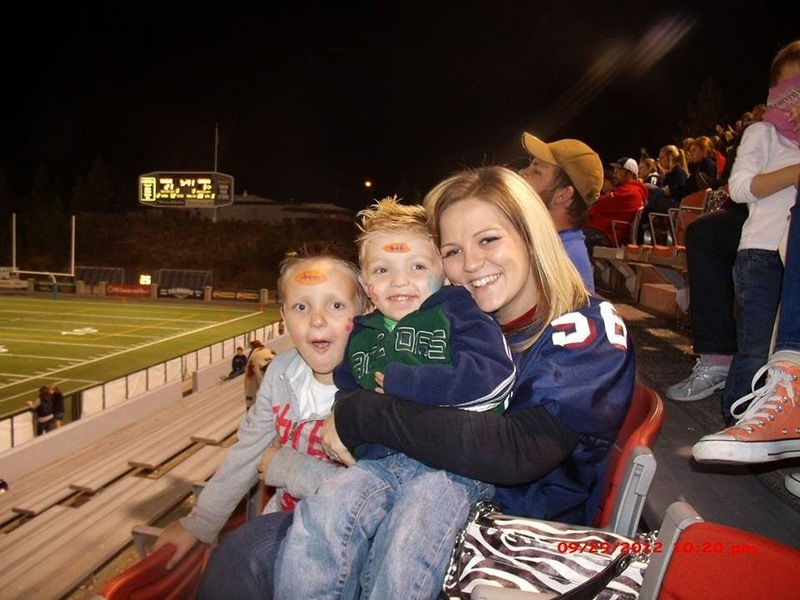 This Special Family Could Really Use a Christmas Miracle ~ And You Can Help!! This is a time of year, when it is more important to think of others and remember that not everyone can count their blessings in the same way. The story I'm about to share with you is real, and is actually my husband's cousin. If you could take just a couple of minutes out of your day to simply "like" and/or "share" their story - it could make one of their Christmas wishes come true! Just look at those sweet faces... how can you say no?! "Thank you in advance for helping to not only help the Jacobson's win the van to get to medical appointments and work, but also to allow them to actually be able to return to living in their home instead of staying with family in town, sleeping on sofa and floor... The medical expenses they have been through since August are preventing them from providing a Christmas for their boys so the gifts and food would provide them with a Merry Christmas as well! I would like to nominate my daughter, Jamie Jacobson and her family to win this prize. Jamie and her husband Ron married straight out of high school as they wanted to be able to bless his parents with grandchildren before they passed away, as they were both terminally ill with cancer. Unfortunately, Jamie had a miscarriage on Christmas day and lost their little girl, 4 months before Ron's father passed away, to be followed by his mother a couple of years later, both passing before Ron was 21 years old. Following the death of Ron's father they learned that they were expecting a son, Colin, who was born almost 2 months early, and in spite of many set backs and complications, Colin was a fighter and grew out of the frequent seizures that would strike him without warning. Two years later Jamie became pregnant with their second son but the entire pregnancy was filled with complications, hospitalizations and finally Tucker was delivered 2 months early in order to save his life and that of Jamie as well. While Tucker was in the NICU fighting for his life, a standard test revealed that he had been born with Cystic Fibrosis. Tucker soon showed that he too was a fighter and he pulled through and although there were many challenges and hospital stays, especially during the first year, he has been a shining light in the family. 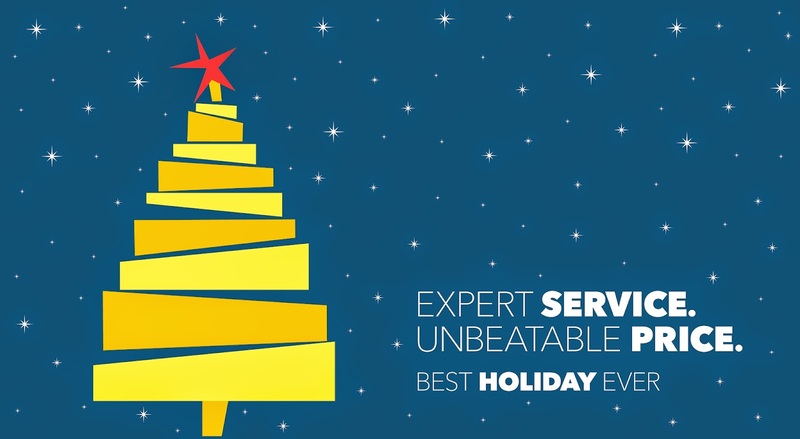 Ten Tips for Making This the Ultimate Christmas For You and Your Family! Christmas has always been my favorite holiday! Many people think that in order for their children to have a wonderful Christmas, they have to spend a ton of money. 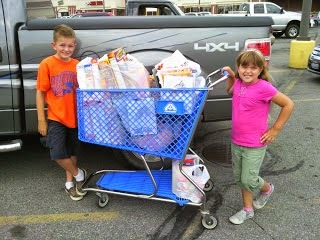 They buy the most expensive gifts and every item that their child has been asking for all year long. I'll admit that I want my children to have the best Christmas each year and for them to get the things they have been wishing for. I'll also be the first to admit that it is possible to do just that without spending a lot of money. 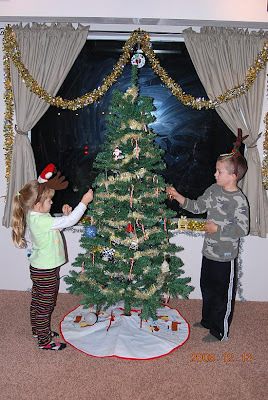 I'm going to share 10 Frugal Tips For Making this (and every year) the Ultimate Holiday Season for you and your Family! 1. Make Memories! Life is about making memories that are going to last a lifetime, it's very important. I have so many wonderful memories from my childhood. My parents made sure to make the most of every moment and every day that we spent together. Since becoming a parent myself, I've always strived to do the same. Memories are priceless and in the end, that's all we will have to hold on to. 2. Start a New Tradition! Traditions are the things that we look forward to each and every year. Whether it's at Christmas, birthdays, Easter, Thanksgiving or even summer vacation. Traditions can be anything from new pajamas on Christmas Eve to a special holiday dessert. The reviewer has been compensated in the form of a Best Buy Gift Card and/or received the product/service at a reduced price or for free! My camera is the first thing I grab when the kids wake me up on Christmas morning! I want to make sure that I don't miss a single moment, and I want to make sure I capture their expressions when they open their gifts. It is special family memories like this that I want to be able to preserve and remember forever. Having a high quality camera that takes great pictures is a must-have for any family. I remember as a kid, my first camera was a 110 camera and I thought it was the coolest thing ever. Times sure have changed, and I can't imagine what life would be like without my digital camera. It goes almost everywhere with our family because I don't want to risk missing something! Every year, my family looks forward to enjoying a fun family night with the Globetrotters! Don't Miss The Harlem Globetrotters Coming to Seattle on Feb. 15. 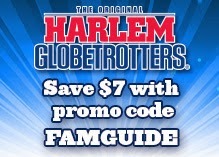 Save $7 Off Select Tickets to any Harlem Globetrotter Game with promo code FAMGUIDE now on sale! The iconic Harlem Globetrotters are coming to an arena near you with their unrivaled family show, featuring some of the greatest athletes on the planet. With incredible ball handling wizardry, amazing rim-rattling dunks and trick shots, side-splitting comedy and unequaled on-court fan interaction, this must-see event is guaranteed to entertain the whole family creating memories that will last a lifetime. The Globetrotters will face a great challenge this year against the Washington Generals who were the last team to beat the Globetrotters in 1971, and are now coached by a former member of that team. They are on a mission and will do whatever it takes to win, with a new strategy that is sure to give the Globetrotters a run for their money. 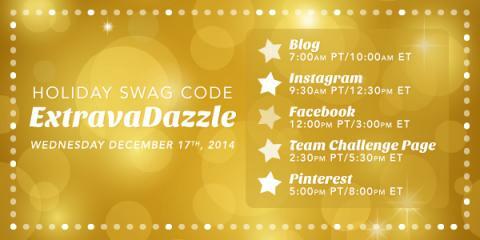 It's a Holiday Swag Code ExtravaDazzle at Swagbucks.com! Starting TODAY, Wed, 12/17 at 7am PT through 6pm PT (10am ET - 9pm ET), you can find multiple Swag Codes all across the Swagbucks realm. Try to redeem all 5 codes throughout the day for a total of 35 SB! Check the schedule for when and where to find the next code -- and remember, if you joined the Ugly Sweater Party Team Challenge, you'll get points every time you redeem a Swag Code: 5 pts for your team if you redeem on the mobile app (US only) or the SwagButton browser extension. 1 pt per Swag Code if you redeem on your desktop! Planning parties has always been one of my favorite things to do, especially my kid's birthday parties. It is so much fun planning the party theme, and then making sure that everything matches. That includes the cake, invitations, party invitations, tableware, and decorations. Everything has to be perfect! Smarty Had A Party is the nation’s top-rated online party store for entertaining, from back yard pool parties to weddings, bridal showers, holiday dinners and special occasions. 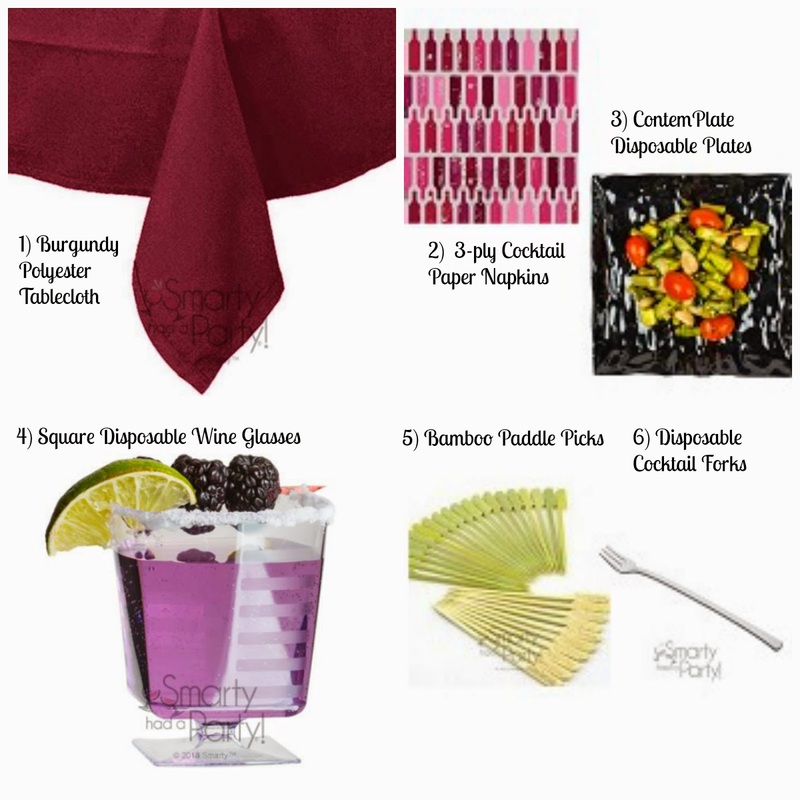 Smarty offers the widest selection of budget-friendly, elegant disposable dinnerware, eco-friendly party supplies and table linen on the web, enabling party and event planners to save the expense and hassle of rentals. The thing I noticed most about my Fancy Cocktail / Hors d'oeuvre Party Set was the quality. Everything was durable enough to last through any party and be used again at a later date. 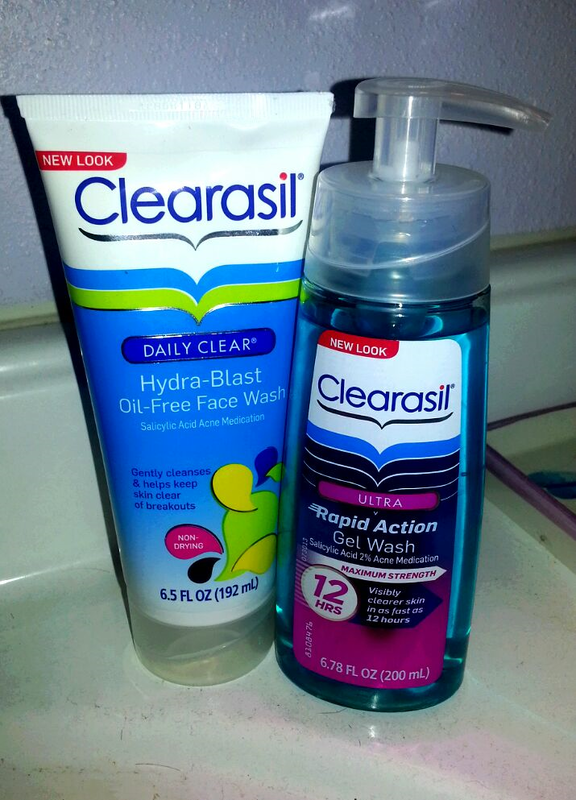 I participated in an Influencer Activation on behalf of Influence Central for Clearasil. I received product samples to facilitate my review as well as a promotional item to thank me for my participation. About a year ago, my teen started experiencing breakouts. I know how embarrassing and self-conscious you can feel when you have breakouts on your face, and it is even worse as a teenager. Kids can be mean and breakouts are too! I clearly remember how I felt when he woke up on picture day with a zit on his nose my freshman year in high school. I was freaking out and completely horrified! YIKES! Although I'm positive that we have all experienced an embarrassing breakout at one point in our life, I felt like it was the worst day of my life! My teenage son is active in wrestling, so personal hygiene is always a top priority and concern. There are way to many skin rashes that are associated with wrestling, so taking proper care of his face (and skin) are part of his daily routine. My son washes his face in the morning before leaving for school and then again before going to bed. In the past he has always used blackhead astringent. Two weeks ago he switched to using Clearasil in the evening and his normal product in the morning. In exchange for participating in the Nutrisystem #NSNation Blogger Program, I will receive the Nutrisystem My Way program, free of charge, which includes food and support services for three consecutive months. All opinions are my own. Thanksgiving is the one day every single year that I always tend to eat way too much! Everything looks and tastes so good, and by the time the day is over I feel bloated and tired. The table is filled from one end to the other with temptations. Turkey, ham, potatoes and gravy, stuffing, homemade rolls, jello dream salad, crackers and dip, and lets not forget my "go to" this year... a veggie tray. Then, lets not forget dessert! I made the decision to eat Thanksgiving dinner with everyone else, and do my best to practice portion control and making smart choices! Instead of piling my plate high with everything - I ate a little bit of everything instead. I enjoyed only one plate of dinner and didn't go back for seconds. Hoodsbee ~ Pillow, Hoodie and Best Friend! As much as I love my children, nieces, and nephews - there are often times that I refer to them as my little monsters. 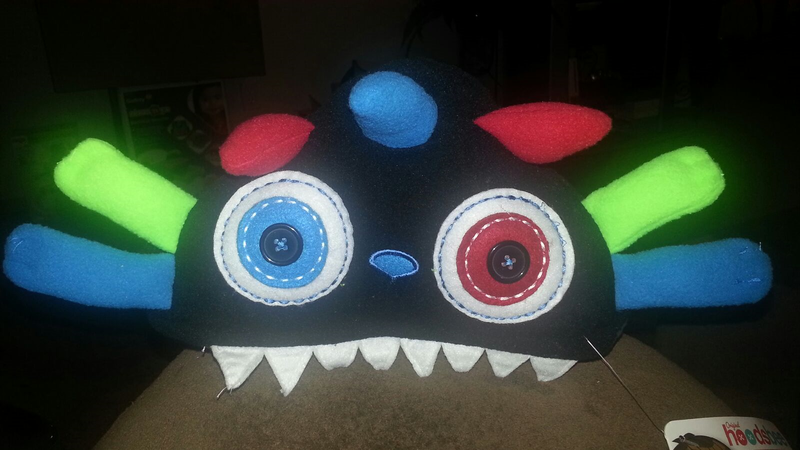 As a result, I jumped at the chance to receive an adorable hoodie that turns into a stuffed monster - or a stuffed animal that turns into a warm hoodie, for my two-year-old nephew. With his birthday less than a week away, I knew that this functional hooded jacket would make the perfect gift. As an added bonus, the Hoodsbee also makes the perfect companion for my "little monster!" Not only are they absolutely adorable, but the are super soft and warm. Perfect for those cool mornings or evenings all year round. 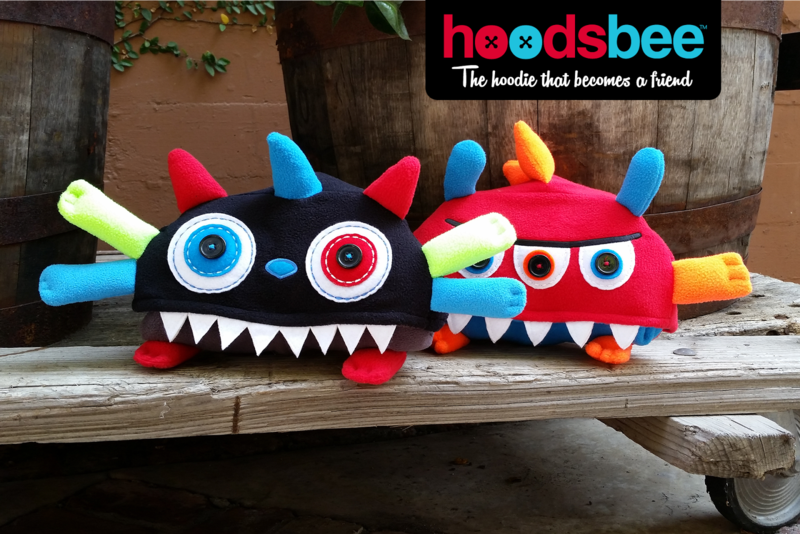 Hoodsbee also folds up into a compact little critter that makes it easy for your little one to carry. I love burning scented candles all year long, but even more so during the holidays. I love burning scented candles that are holiday related because they bring the holiday to life and bring back childhood memories! 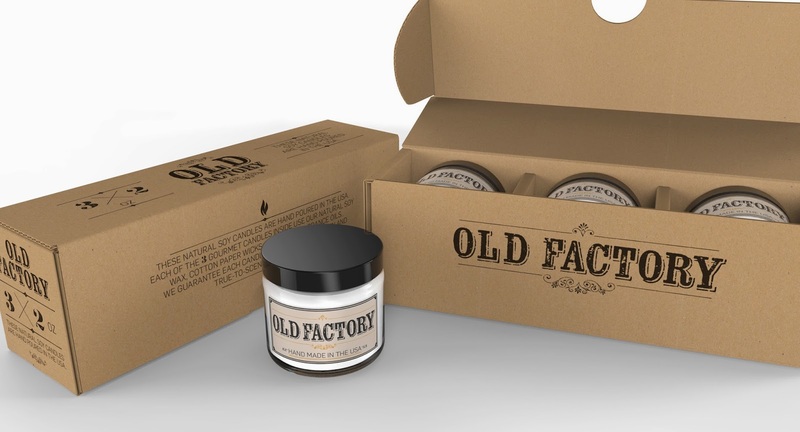 I was recently given the opportunity to sample an Old Factory Candles gift set in time for the holidays. I knew that I wanted to choose candles with Christmas in mind, but I had no idea that it would be such a difficult decision. 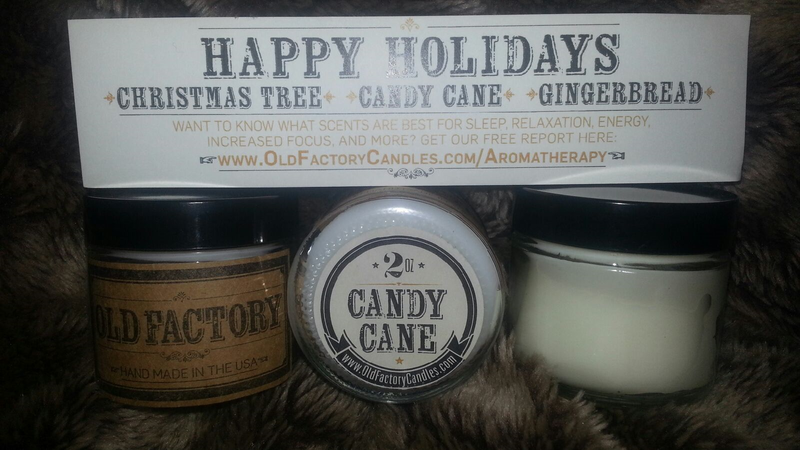 I chose the Happy Holidays gift set which includes: Christmas Tree, Candy Cane, and Gingerbread scented candles. I must say that these candles didn't let me down - they smell exactly how they are suppose to smell... just like Christmas! Nothing is quite as soothing as a house that smells good! Two of my favorite ways to make our house smell good are by baking and scented candles! As a mom who worries about everything, I love the fact that Candle Warmers don't require a flame like ordinary candles. I don't have to worry about the kids (or pets) knocking them over and starting a fire or getting burned by them. I also don't have to worry about forgetting to blow them out or turn them off when I leave the house, after all it's just a light bulb! 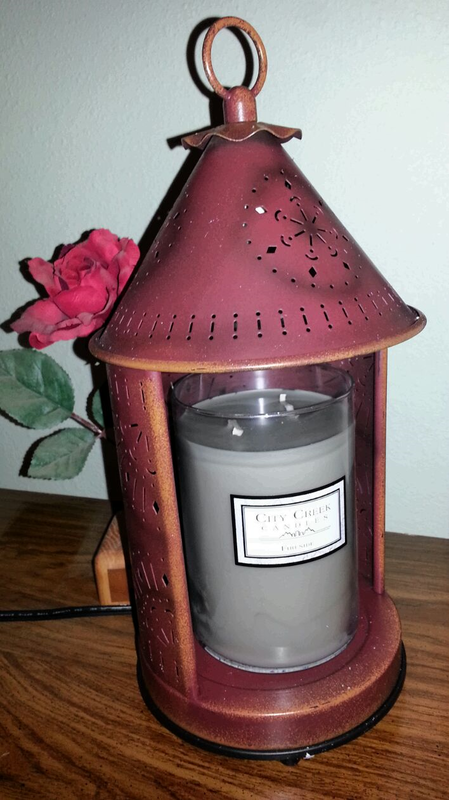 Candle Warmers give off the perfect amount of scent and it fills the entire room. We have a large bedroom and living room, so I know that the warmer works very well. Perfect for any size room, big or small. The scent even reaches down the hallway and into the other rooms in our house. Candler Warmers are available in a variety of stylish and decorative lamps, crocks, plates, and plug-ins! They even carry a variety of holiday warmers as well, including an adorable snowman and Santa! Wow! November is over, and tomorrow begins the last month of 2014! I still can't believe it. Today I'm thankful that I was able to complete the #30DaysofThanks challenge. It helped remind me of why I'm so lucky and that the little things really do matter most! Today I am thankful that I'm 100% finished with my Christmas shopping! I can't wait to see the kids faces on Christmas morning when they unwrap their gifts! How are you doing this afternoon? I'm trying to recover from too much Thanksgiving dinner! We spend Thanksgiving at my parents house every year. They live in the same small town where I grew up. My cell phone doesn't work there and they don't have internet. Today I am thankful for those moments when I can take a step back, away from the craziness, and reflect on the little things. The little things in life are often the most important! Today I am thankful for family, friends, and good food! Today I am thankful for the Oregon Coast and all of the family memories it has provided us with over they years! Our dogs have always been a part of our family. Our dogs are not pets... they are family! There are some days when I can't tell if my dogs or my kids are more spoiled! Losing them is one of the worst feelings out there, it hurts! Today, my parents lost their family member... Duke. He turned 13 in October, and my almost 14 year old son picked him out when he was 7 months old. 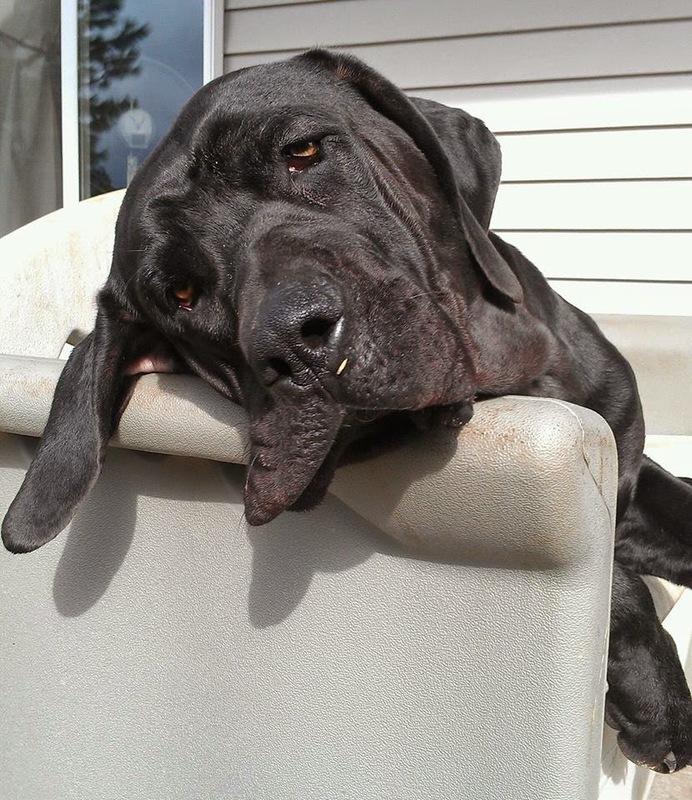 Duke has been a loyal friend and guardian to our children since they were born. Today I am thankful for our pets and the memories we have with them! Even though we all have what it takes to accomplish anything we set out to do, we are often our own worst enemy. Instead of taking action, we over-analyze and over-think every little thing that doesn't go exactly as planned. Rather than "going for it", we judge ourselves too strongly, worry about too many things and let life pass us by. 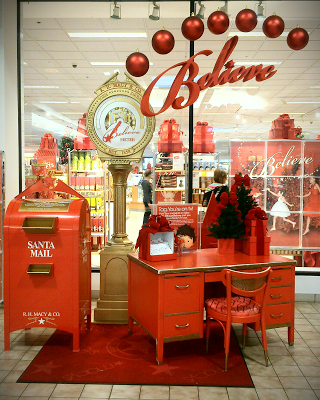 Why not give someone a little encouragement and inspiration this holiday season? 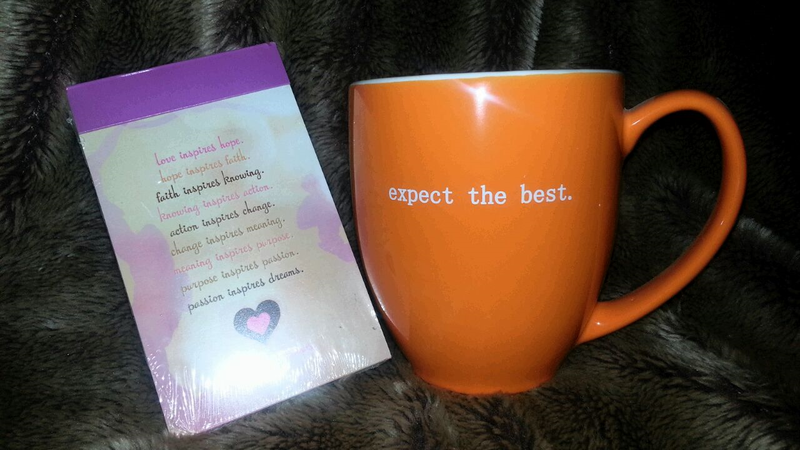 The best seller at The Universe Knows is their collection of brightly colored inspirational mugs. These bistro mugs make a unique gift for any holiday or special occasion. 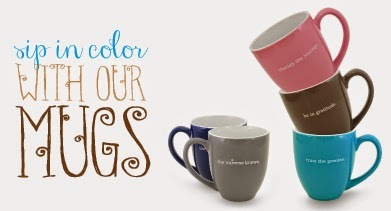 These mugs are big enough to wrap your hands around, and inspiring enough to make and day brighter! Why do I love these coffee mugs so much? They are inspirational and encouraging! They come in bright, bold colors! They can brighten even the darkest day! They make the perfect gift! They are dishwasher and microwave safe! Another thing that I love about these amazing coffee mugs is that they are easy to hold and durable! You can feel the quality when you hold them, and they are easy and comfortable to hold and drink from. Up until two years ago, I was lucky enough to be a stay at home mom. Four years ago I decided to start subbing at my children's school in addition to my many hours and days of volunteering. After a year, I had been moved up to daily lunch yard duty, and then last year I was hired as a Parapro in the Title room! Today I am thankful for my job and the wonderful people I work with! 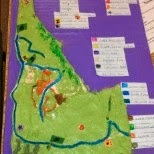 I also love the kids that I'm lucky enough to work with - every day is something new! I also love the fact that I get the same days off work that the kids get off school. It doesn't get much better than that. As much as I tend to stress about my weight on the scale, I know that weight loss is about so much more. There are so many different factors that dictate weight loss, weight gain, and maintaining weight. This can be a stressful time of the year for those who haven't started their holiday shopping. With everything going on, it can be difficult to find the time and energy to shop for the perfect gift. Christmas is right around the corner, and now is a great time to think about those last minute gift items on your shopping list. I shop year round and purchase great gifts anytime I find a great deal. Having a gift stock-pile" on hand, comes in handy year round. After all, being frugal is the name of my game! Visa and Cold Stone Creamery are two of my "go-to" gift cards for gift giving. My children love giving them to their friends, and their friends always say they give the coolest gifts! Whether you're giving or receiving... you really can't go wrong with a gift card! 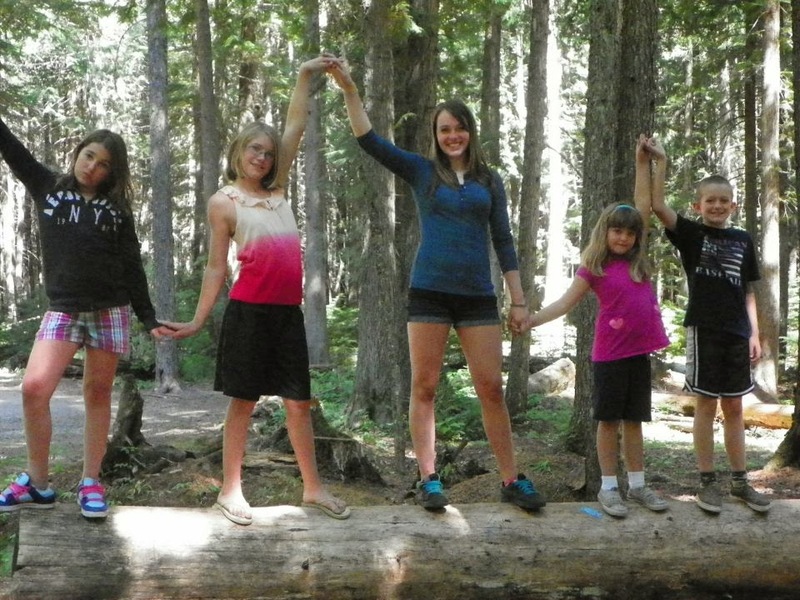 My kiddos are still young, and my husband and i both want to fill their childhood with fun memories. 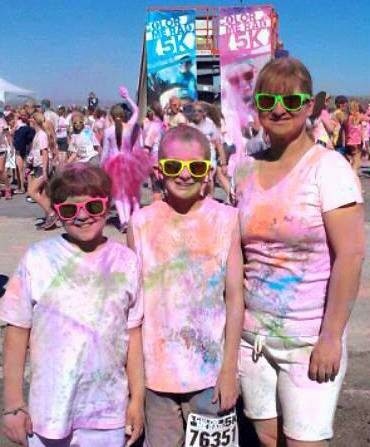 Family time is important to all of us, and we always make the time to spend together doing fun things. 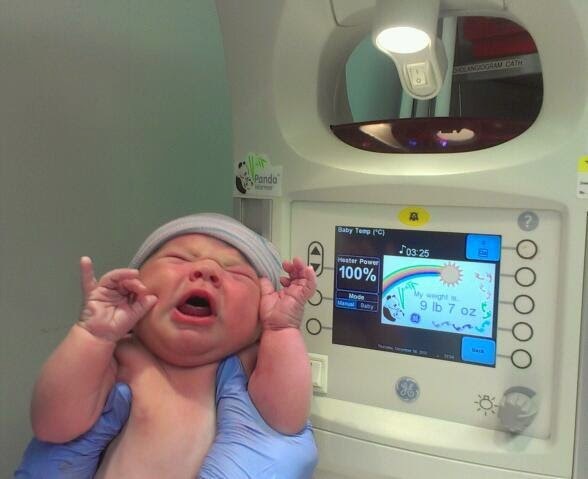 We know that our kids aren't going to be this age for long, and before we know it they will be grown. Making the most out of our time together is always a top priority! Yesterday was my sister-in-laws birthday and today is my younger sisters birthday. I know that growing older isn't always that fun, and our birthdays aren't as exciting as they were when we were kids. But, I'm happy that I have them to grow older with! Today, I am thankful for sisters! Today I am thankful for babies! I love everything about babies... their adorable little toes and fingers, their sweet little faces, and cuddling with them! LG OLED is the Perfect Family Gift from Best Buy this Holiday Season! Every year for Christmas, technology and electronics are among the hottest gift items. Last year I bought my husband a new flat screen tv and sound bar for the living room, my daughter a handheld gaming device, and my son an iPod. Even though the items I purchased last year were the top of the line, and the latest and greatest --- there are so many new and exciting items available now that are even more fabulous! That is on thing about technology, it is always improving. 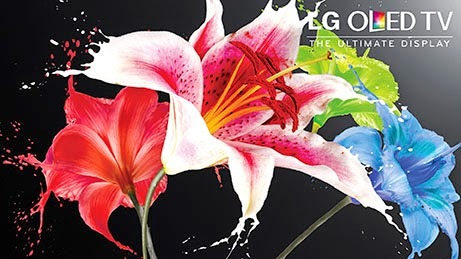 If you are shopping for a new tv or the perfect family gift this Christmas, Discover LG OLED TV – The Ultimate Display! I love being a blogger and everything that comes with it. Of course there are days when I'm struggling to keep up and meet deadlines, but the pros out-weigh the cons by miles! Today I am thankful to do something that I love, share it with my readers, and provide great giveaways all year round, especially during the holidays! The exact day I started my most recent weight loss journey with Nutrisystem, I started a 12 week Get Fit program at the gym. We meet two nights a week for 30 minutes and alternate through different cardio and weight circuits. There are four wonderful ladies in my group and we get our butts kicked every week by our encouraging trainer. There are times when I think that my body is going to give out, that my legs are going to fall out from underneath me and that my arms are not going to be able to hold me up! There are times where I have sweat dripping off my face and that I feel that it is impossible to take another step. Then I hear it... "Come on Ladies, You're Doing Great! You Are Rock Stars!" Diabetes Awareness Month ~ Healthy Habits for a Healthy Life! If you would have asked me ten years ago who I knew with diabetes, I would have said my grandparents. I never would have thought it was something that affected children, or young people. Today, I know several people of all ages (including young children) that have diabetes. I have come to realize that things we may think of only as affecting "old people" or "overweight people" don't discriminate. I've also come to learn that diabetes isn't an excuse to stop doing what you love and enjoy. It doesn't have to hold you back and there are steps that can be taken to help support your overall health and lessen the effects of diabetes. November is Diabetes Awareness Month and I'm going to share some helpful information that was provided to me by J&J and The Motherhood. Hello! I still can't believe how fast this month (and year) has gone by... before we know it Thanksgiving will be here, then Christmas and then the New Year! It is important to make sure that you enjoy every single moment of every single day. We aren't guaranteed tomorrow, so today I am thankful for today! I'm so lucky to be a mom, wife and an Auntie!! I love being able to spend time with my nieces and nephews and spoil them rotten! Even though I don't get to see them as often as I would like, I enjoy every single moment I can with them! Today, I am thankful for my adorable nieces and nephews and the fact that my kids are lucky enough to have them as cousins! 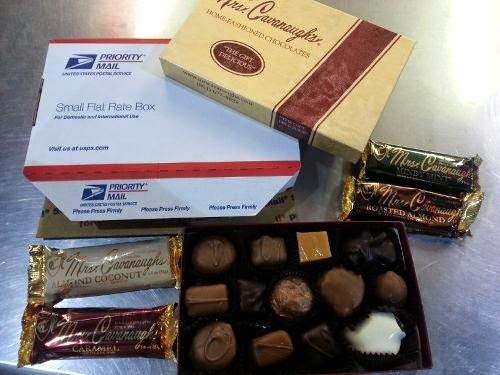 Mrs. Cavanaugh's Chocolates ~ Buy 1 lb Get 1 lb FREE! I will be receiving a sample of Mrs. Cavanaugh's Chocolates in exchange for sharing the following information and a review. "It started when my aunt sent her pecan-rolls recipe," Mrs. Cavanaugh recalled. "I gave the recipe my own touch and started making the yummy specialties. Then I began dipping chocolates. Our friends and neighbors loved these treats, encouraging me to start a candy business. Finally, I decided it might be a good idea.'" Although I've never been to Hawaii, I've always dreamed of going to Maui and Honolulu! Maybe one day I will be able to cross that trip off of my bucket list, but until then I can easily bring a little bit of Hawaii into my life thanks to the Honolulu Jewelry Company. Since 1981, Honolulu Jewelry Company has delighted its customers with the finest Hawaiian Jewelry. 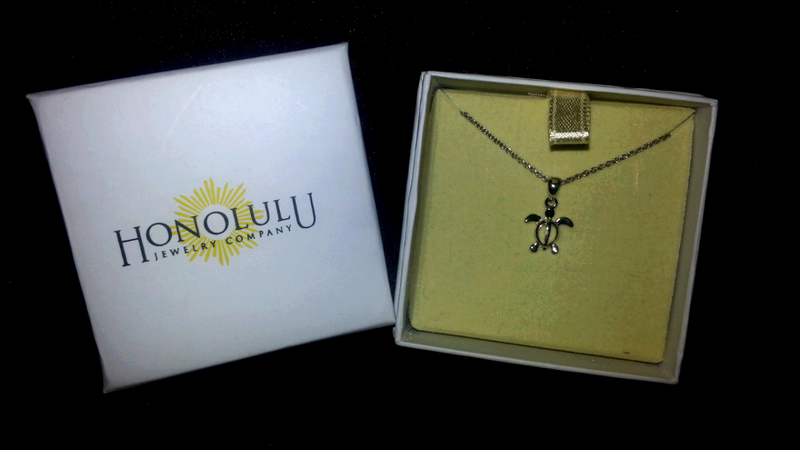 I was fortunate enough to receive an adorable Turtle Silver Pendant. My daughter happens to adore turtles, so this beautiful necklace is going to make the perfect gift! My daughter has always wanted to swim with a dolphin and sea turtle... so maybe one day her dream will come true as well. When I think of Hawaii, I think of totem poles, tropical flowers, sea turtles, luaus, volcanoes, sandy beaches and crystal blue water. The Honolulu Jewelry Company carries a beautiful variety of jewelry that embraces all of your favorite things about the vacation paradise... Hawaiian jewelry, rings and pendants that feature sea life, waves, and flowers.